These seats will carry your child safely rear facing between 18kg and 25kg depending on the seat. 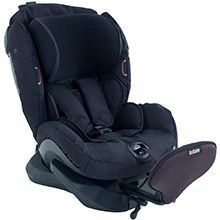 For children in this weight range extended rear facing child seats are 5X safer than forward facing seats. We will take the time to show you all the seat options that are suitable for your child and vehicle and when you have made your choice we will prepare the seat for your child and then fit it into your vehicle and explain how you can maintain the seat as your child grows. We are always available for after-sales service for your peace of mind.